I don't know if my human could handle a second tortie! I'll have two please, and one for the road. We are totally with Summer!! Our Autny Sienna is a sortie and Dad has enough trouble with HER tortitude no amount of free shipping would induce him to take another!! He says No Offence meant and, to be honest, you are quite the prettiest sortie (but Sienna was out of the room at the time.....) I think you two could form the 'Sisterhood of the Travelling Tortitude' with Binga! Oh YES please, could you send me a link so I can order one! Is there same day delivery on this beautiful item? We need us a Mudpie, like, yesterday. 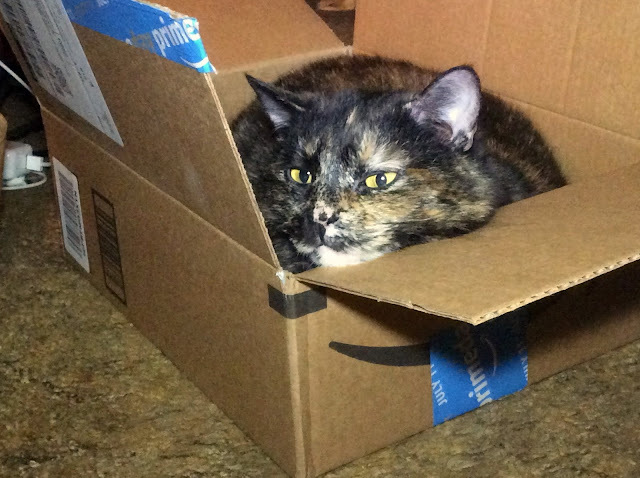 I'd say Amazon delivers a free cat gift with every order! Now that box has been well filled! Cutie, and we love Prime. so cute!! MY guys love their amazon boxes! :::digging out my credit card::: With the fastest shipping too, please! 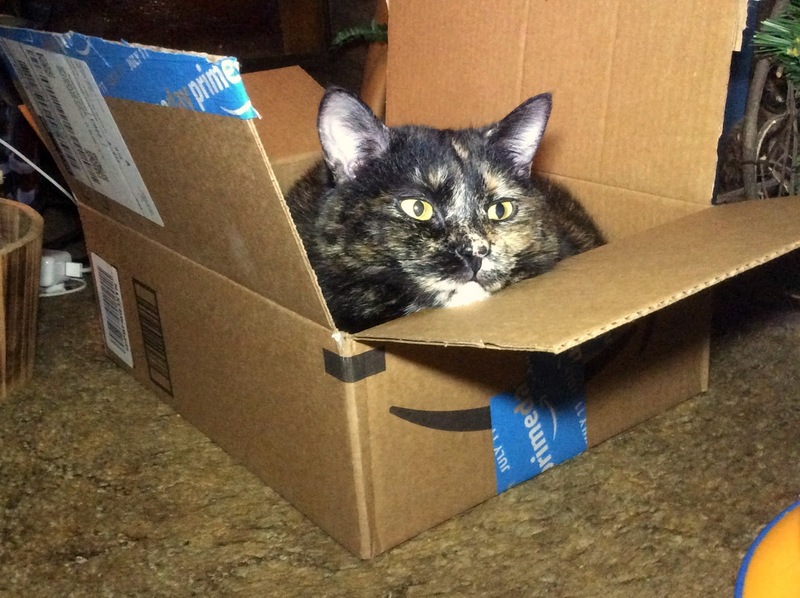 We luvs your photos, Mudpie and we luvs Amazon Prime. I love my Amazon Prime box too! I would be so excited to get a Mudpie delivered to the door! Darn! We placed our order yesterday. Hope they're not sold out when we order again. OMC! I'm going over to Amazon right now to order one. :) I'm sure that Manna and Dexter would love having a Mudpie around. You are so cute, Mudpie! Great choice of boxes. We want one! We're going to Amazon right now! Well, YEAH, we want a Mudpie, for sure!